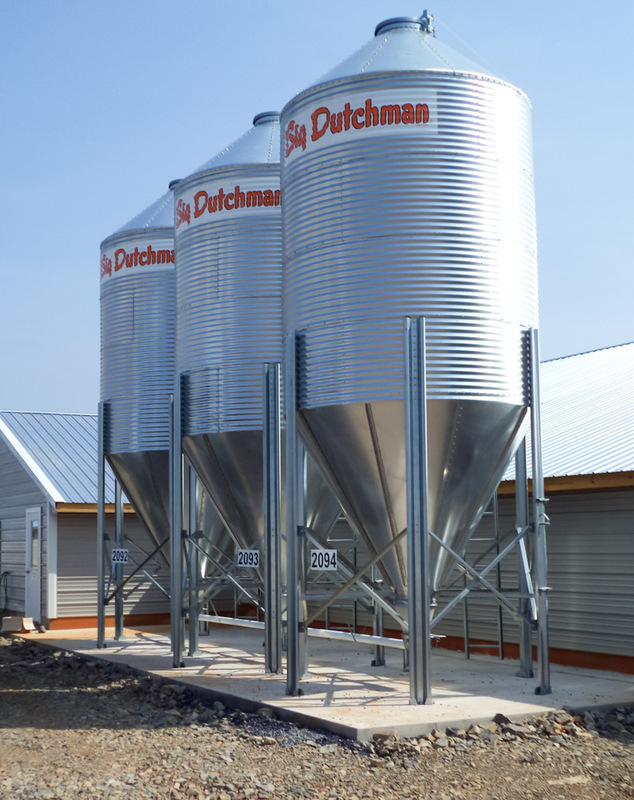 Big Dutchman feed hopper bins are designed to store flowable, noncorrosive material with 50 pound/cubic foot (800.9 kg/m3) bulk maximum density. 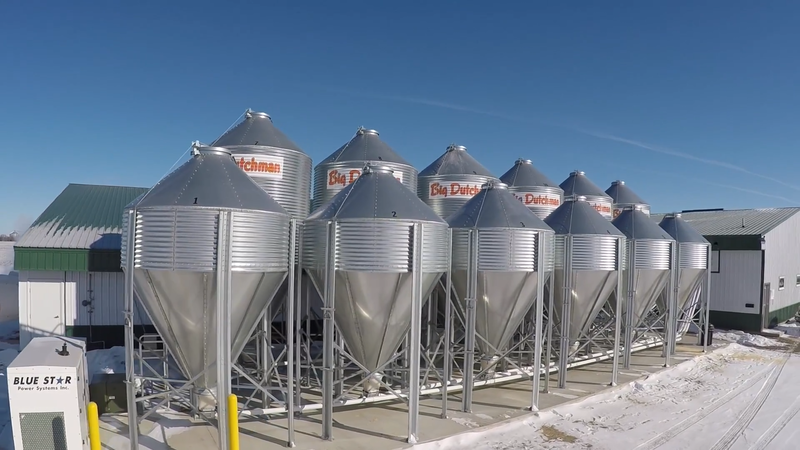 The feed bins come in 3 standard sizes of 6, 9 and 12 feet in diameter. Each of the 3 sizes is available in 1 to 4 rings. 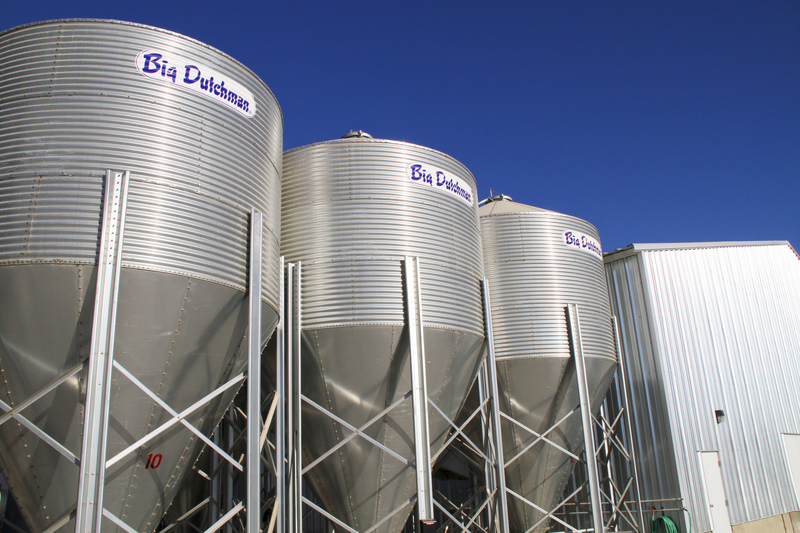 The 12’ bin is also available with 5 or 6 rings.